It’s really just a matter of how far off pitch and duration of the pitch discrepancy. Just as with a clock, while there are points on the clock face that the hands pass, they are always slightly before, or after the “time” that you are comparing too. So, when you sing a note, you’re always somewhat below or above the target pitch. This is true, even with electronically produced sound! Next, there are problems of missing a note entirely, being more than 100 cents off. The physical construction and make up of each individual varies slightly, but significantly enough for each person to perceive pitch differently. Along with this, is the factor of the listening environment, which can alter perceived pitch tremendously. The construction of a room can “eat” certain frequencies, and “enhance” other frequencies. A great example of this is singing in the shower! So, to improve pitch we must learn to listen differently, PLUS, we must have an objective measure of our pitch. The only consistently reliable means is to use Pitch monitoring or graphing devices. Fortunately, there are computer programs, such as PitchPerfector, that are inexpensive and train your ear, so that you can rapidly improve your vocal pitch. Third, Mood, Weather, Allergies, Illness, even Food can significantly affect voice pitch. Imagine being very sad while singing a song, verses being very happy. For most people, singing while feeling sad would produce a slightly “flat” pitch, while singing when feeling happy would yeild a higher and usually more accurate pitch. Weather, seasonal allergies, and illness can change our perception of pitch and indirectly cause us to sing further off pitch. Nasal congestion is a common problem, especially when congestion expands to the eustachian tube toward the ear. Additionally, foods such as dairy (milk, cheese) can cause extra production of congestion mucous. Even if you are a professional vocalist, the odds are that you have good pitch days and bad pitch days. Especially if you travel widely for performances, the rapid changes in weather conditions increase pitch problems. Since your income relies on your singing, it’s smart to check your pitch while traveling and make minor adjustments as needed. PitchPerfector makes this easy. Other Impacts on singing pitch are Posture and Breath Support. Lastly (or perhaps first of all), it is important to let go of self judgement. Many singers, “beat themselves up” for having bad pitch. This negative self image only exacerbates the problem… but more importantly, it’s helpful to remember why you are singing in the first place. Most people sing for fun, joy, devotion, and many other positive aspects of life. But, it’s easy to fall into the trap of self reprimand. Lighten up! Accept that you will have some pitch problems and ENJOY Singing! 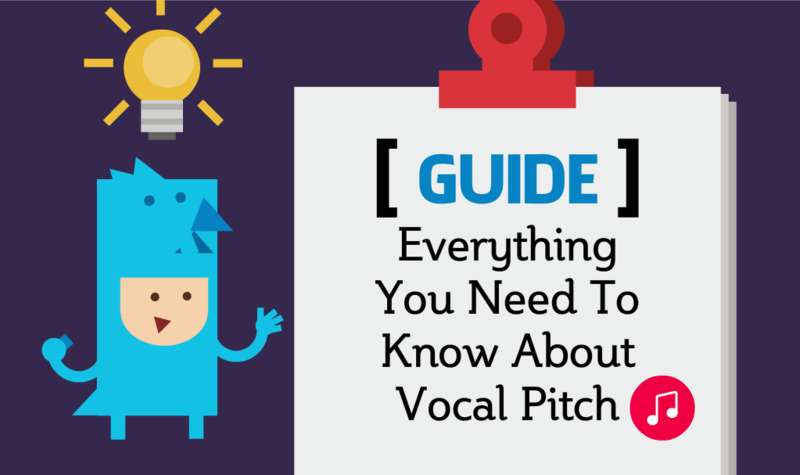 And, with a fresh healthy attitude about yourself, consider using a voice pitch training system like PitchPerector to become a stronger vocalist and enjoy singing even more! It will be extremely helpful in my voiceover endeavors.